It’s hard to remember a time before high-speed internet, streaming video, and beautifully functioning websites. Today, the internet is involved in nearly every aspect of our lives. I didn’t think much about about it while it was happening, but looking back on the evolution of web-design is quite moving. Web browsers power everything from gas pump displays, to electronic voting machines. The presentation of our digital presence can make or break a business, or any other venture. As ubiquitous as the internet is today, it has humble beginnings in the not so distant past. Physicist Tim Berners-Lee designed specifications for HTML and built the first web-browser\html-editor combo. 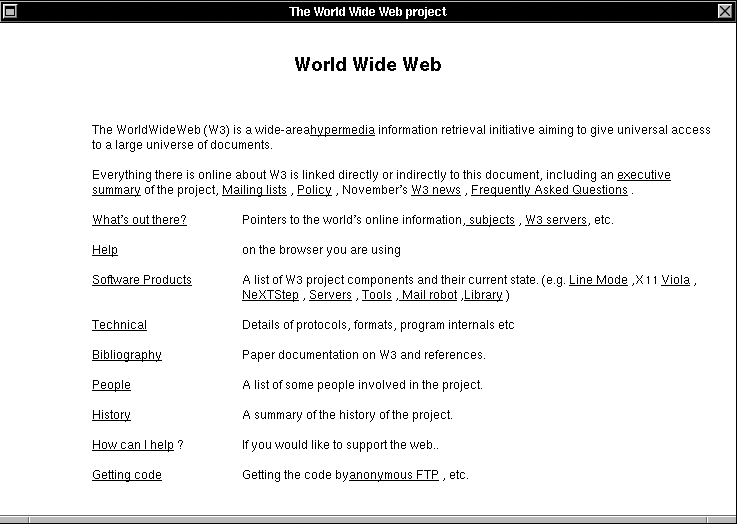 In 1991, CERN launched the very first website describing the basic features of the web, how to access documents from others, and how to set up your own server. Since Nexus could only be used with the NeXT operating system, CERN built a cross-platform web browser called Line Mode, the next year. In 1993, CERN released its browser, server software, and a library of code to the public domain, making the basic tools for interacting with the web accessible to all. Around this time Mosaic was born, the first cross-platform browser that could display both text and images, it even supported as many as 16 web safe colors. 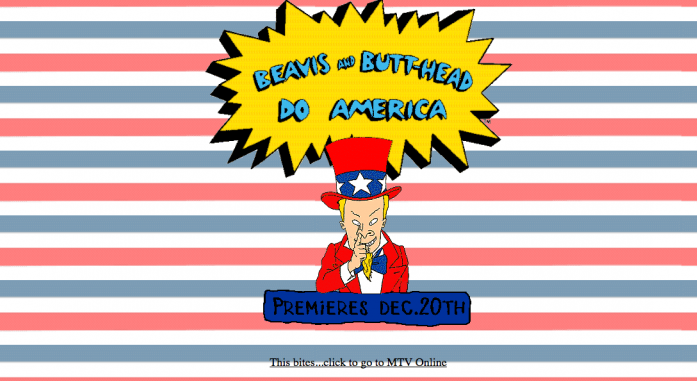 One of the first landing pages appeared on the MTV website, operated by VJ Adam Curry. At the end of 1993, there were 14 million users online and as many as 600 websites. Banner ads were a clickable image that lived on the top or bottom of a web-page. 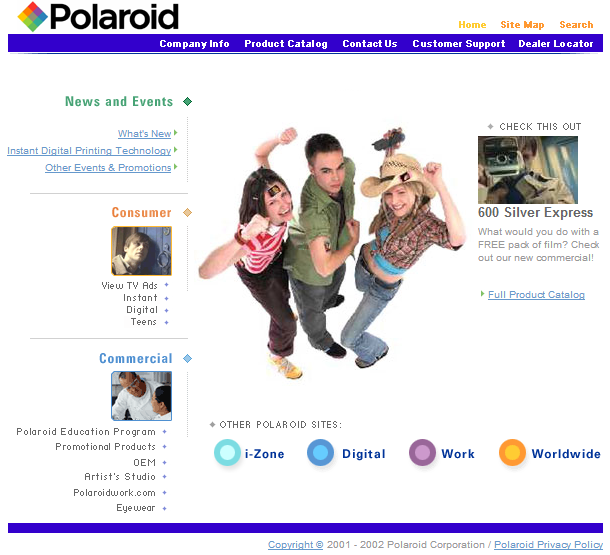 Now nearly non-existent, they are a memorable part of the early internet experience. 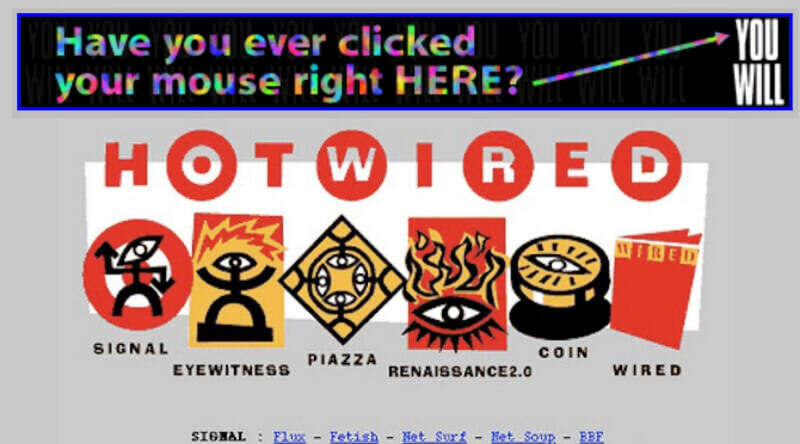 HotWired (now wired.com) sold the first banner ad spots to 14 companies, including AT&T. “You Will” alludes to a television ad campaign produced by AT&T around the same time. These ads asked a series of “have you ever” questions, accurately predicting our modern online experience. Among the technologies predicted were video conferencing, GPS, WiFi, and video on demand. 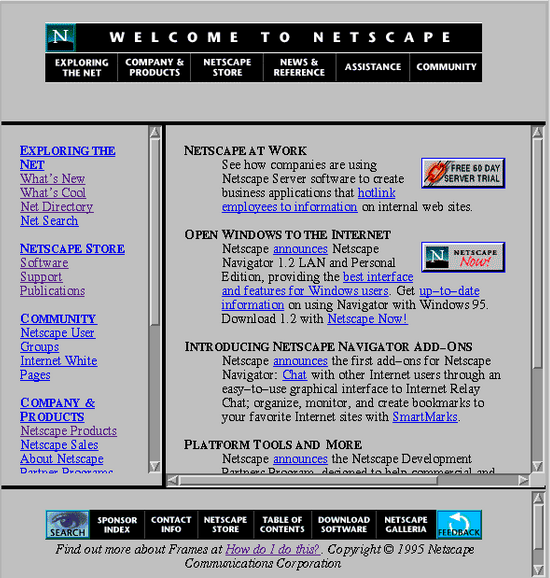 There were 16 million users and over 10,000 websites at the close of 1994. In the following years, as browsing functionalities expanded, excitement over new features often resulted in busy designs and bright color schemes. By the mid 90’s the “World Wide Web” grew to 36 million users, and 100,000 websites. Around this time, tables were introduced to HTML, allowing designers arrange information, images, and links in a gridlike fashion; similar to a spreadsheet. If tables weren’t enough, Flash animations arrived on the scene to forever change the face of the internet. Initially designed for pen-based computing devices, Flash was released as a browser plug-in, enabling web animation. On the left side of the FutureWave website you can see its fancy navigable directory, an example Flash as it was first released to the web; much prettier than using tables to style your content, but more resource intensive. PHP is a flexible server-side scripting language for creating dynamic websites. Initially developed in 1994, it began growing popular around 1998. For a web developer, quickly designing a sophisticated, attractive website is a challenge. PHP frameworks are a useful tool for building websites of any size. In the years leading up to 2000, the web’s user base continued growing to over 400 million users and 15+ million websites. 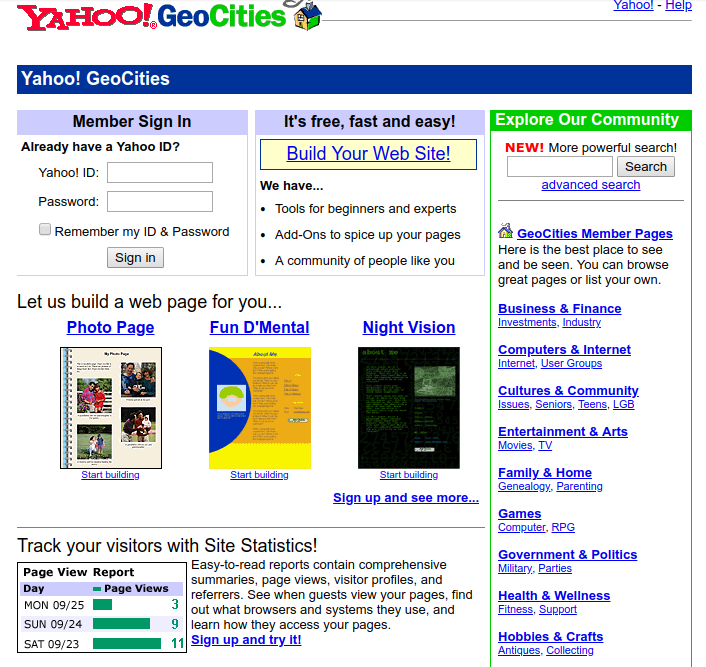 A new effort arose around menus, navigation, user experience, organization of content, easy on the eye color schemes, and awareness of “white space.” Geocities.com was the first free page-building site allowing anyone to publish content, without writing code. It began in 1995 and was bought out by Yahoo in the year 2000. Paypal took off around this time and saw e-commerce explode. 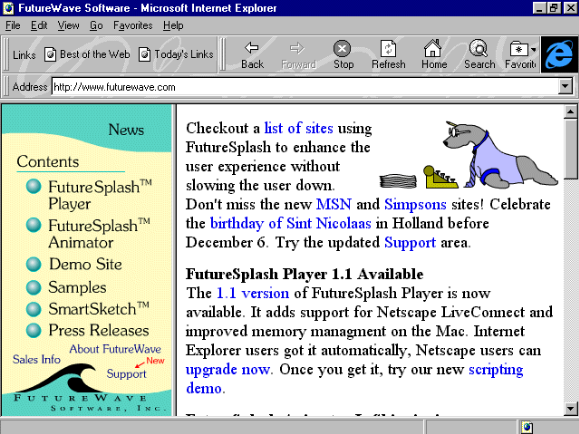 After the dot-com bust, web-development began coming into its own. 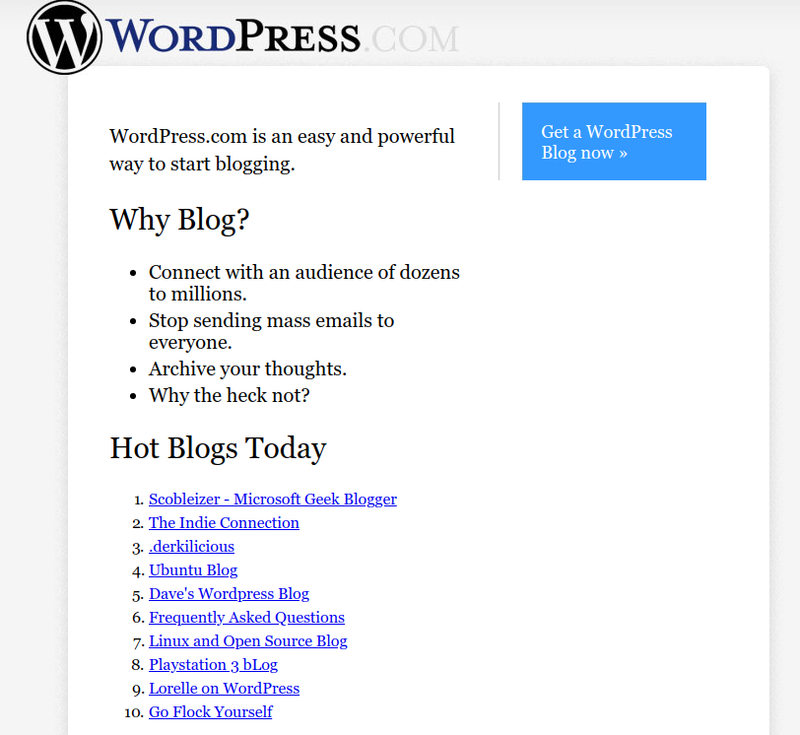 In 2003, WordPress democratized website creation. WordPress is an open source Content Management System (CMS) built on PHP and MySQL. Previously, websites were produced by hand coding individuals or entire IT departments. This era saw bold typography, shiny gradients, and a focus on building community. Myspace launched the same year, allowing its users to customize their profile with HTML, sparking the dawn of the social media age. The web became much more functional over the coming years, with features highlighting where to click, offering a straight-forward and enjoyable experience. 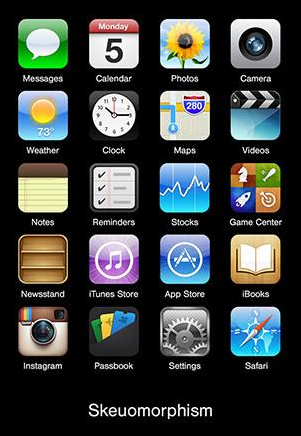 The first iPhone was released in 2007, bringing smart phones into the mainstream. From this point web-designers no longer had to worry about which browser their site would look best on; instead the focus shifted to mobile-friendly. By this point, there were over 100 million users browsing over 1 billion websites. One style that began gaining popularity is skeuomorphic design. The idea is designing elements to retain stylistic features of real-world counterparts. By 2010, responsive design came into the forefront. The idea is, instead of having a separate site for mobile and desktop, to have the same site respond differently depending on the device used. Flat design and minimalism begin gaining popularity. With less energy being put into the design, and more into the content itself. Big data and data science became increasingly prevalent since 2012. As a result, infographics grew in popularity. Visualizations are a compelling way to organize and share insights. The total number websites and online user base doubled from ’07-`10. Today, website creation has advanced to an artform, and there are more design ideas than ever. In recent years, the components mentioned in this article have matured and gained depth. Today, we see rich vibrant color schemes, modular blank space, and geometric grid layouts. Unique and bold typography leads users across the web. Hamburger menus are prominent, useful, and offer a clean design for site navigation. There are too many design trends to name in the context of this post. However, an enjoyable and compelling user experience on our websites has never been so accessible. In 2017, there were 1.7 billion internet users, a 69% increase from the previous year. That alone is proof that the internet age has just begun. Great website with loads of useful information. Was just wondering: When you set up websites for other people, do you also handle any updates and site maintenance they might require or do they usually want a way of handling that themselves? In which case, how would you go about that? We definitely do handle the updates and maintenance on our client’s behalf, but we also grant the client the power to make several levels of changes (depending on what they’re comfortable with) on their own. We will send you an email with further information!